What does the new concept mean to the conscripts and the Finnish Defence Forces’ employees? Conscripts’ quarters of a new type. Educational micromovies and more simulators. Less waiting and moving between locations! 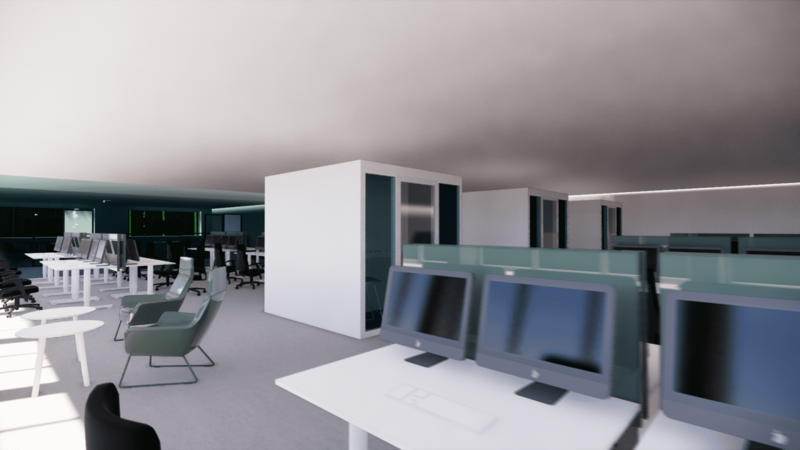 The Finnish Defence Forces’ new work and learning environment concept will change conscripts’ and employees’ daily lives and environments in many ways in the near future. Completed in spring 2018, the Finnish Defence Forces’ work and learning environment concept will bring changes to conscripts’ daily lives. Flexible and adjustable facilities will free up more time for core operations, study and exercise. The concept will also result in more comfortable facilities. 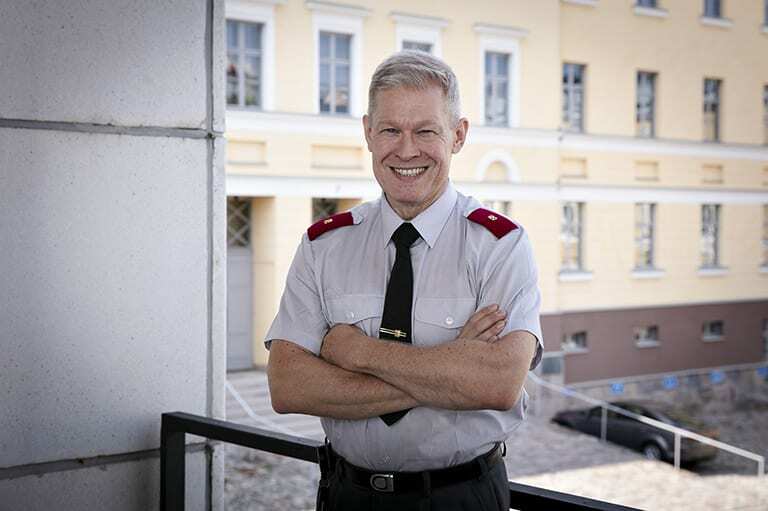 “Our goal is to create indicators for forming highly skilled and effective troops,” says Brigadier General Jukka Sonninen, Chief of Education at the Defence Command. Training for conscripts will be provided not only in standard classrooms, but also in their quarters or classrooms with special themes designed to meet specific training needs. In addition, conscripts’ quarters will be furnished and corridors in garrisons will be modified to be suitable for providing training to small groups. Large screens will be placed in conscripts’ quarters or in corridors for viewing educational micromovies instead of PowerPoint presentations. “Perhaps we will also have mobile facilities in the future,” says Sonninen. The garrisons of the future will also have more simulators than today. Terminals or smartphones will be used to provide training. Instead of attending lectures, conscripts will read a book independently in advance. “After they have read the book or watched the micromovie, they can study more in small groups. Micromovies focus on a single topic. After watching the movie, the conscripts will learn the skill in practice,” Sonninen explains. Training programmes will be modular: groups of conscripts will move from site to site in a coordinated manner. This will save time, as small groups can move between locations more efficiently, with less waiting. In addition, the members of a small group can be divided between two sites to further increase efficiency. According to Sonninen, the new concept gives more structure to conscripts’ daily lives. “Conscripts currently spend a lot of time waiting for meals and drills. If there is a delay in the morning, all of the other activities scheduled for the day will be delayed as well. There are also bottlenecks in the evening. If a conscript decides to go to the gym, they may not necessarily have time for the evening snack, which is always served at the same time. Does it really have to be that way?” Sonninen asks. When creating the work and learning environment concept, long waiting times were addressed by simulating typical daily situations in garrisons. “In the Vekaranjärvi Garrison, the movement of conscripts and its effects on time management were modelled on a normal day,” says Arjo Kaarre, Chief of Branch, Facility Management at the Logistics Command. Unnecessary changes of locations within garrisons can be minimised by creating multipurpose facilities. In some cases, efficiency can also be increased by placing warehouses in training garrisons in a centralised manner – that is, near training facilities and areas. Heavy-duty traffic can be directed to designated areas, which will improve logistics operations and road safety. “This all will free up time for training, for example,” says Kaarre. In the future, conscripts’ quarters will be more flexible: they can be used for many purposes, from training provided to small groups to sleeping. Hygiene and air quality will improve when outdoor clothes are kept outside the quarters. “This will increase comfort. 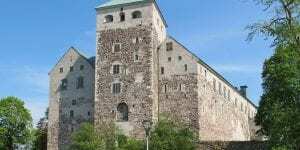 In the Reserve Officer School in Hamina, the supplies are already stored downstairs, outside the quarters,” says Sonninen. According to Sonninen, it’s also important for the conscripts to have meaningful activities in the evening. As its name suggests, the work and learning environment concept will also affect the day-to-day work of the Defence Forces’ employees. They will have more opportunities for telecommuting and dispersed work, thanks to the advancement of secure information technologies. The time needed for travel will decrease, as more and more consultations and meetings will be held online. This will make it easier to convene people, even larger groups, and external rental facilities will only be needed occasionally. In other words, both time and money will be saved. Telecommuting and dispersed work will also reduce the need for workstations. Facilities can be converted into activity-based environments, which are more comfortable and more suitable for modern work. In the process, ways of working will also change, which calls for a new mindset. “In an activity-based environment, supervisors must be able to plan the work and required resources effectively,” Sonninen points out. In the future, there will be no designated workstations. There will be facilities suitable for various purposes, including open workstations, silent spaces and teamwork facilities. In addition, there are specific requirements for security-classified facilities. “The change will also mean paperless operations, which will make it easier to keep offices clean and tidy. Safety and well-being at work will improve, as will air conditioning and ergonomics. For example, everyone will have an electronically adjustable desk,” Sonninen explains. According to Kaarre, activity-based environments will also make it easier to relocate units. Introducing the Finnish Defence Forces’ work and learning environment concept. Read more from our first article about the concept. The Finnish Defence Forces’ work and learning environment concept is based on the Government Premises Strategy. The Defence Forces’ facility strategy was approved in spring 2016. The Defence Forces adopted the work and learning environment concept as one of their development projects. The concept is being implemented in cooperation with Senate Properties, the owner of the Defence Forces’ facilities, and its partners. Employees from the Defence Command, as well as conscripts from garrisons around the country, are also participating in the development work. Did you know this about the Finnish national heritage?